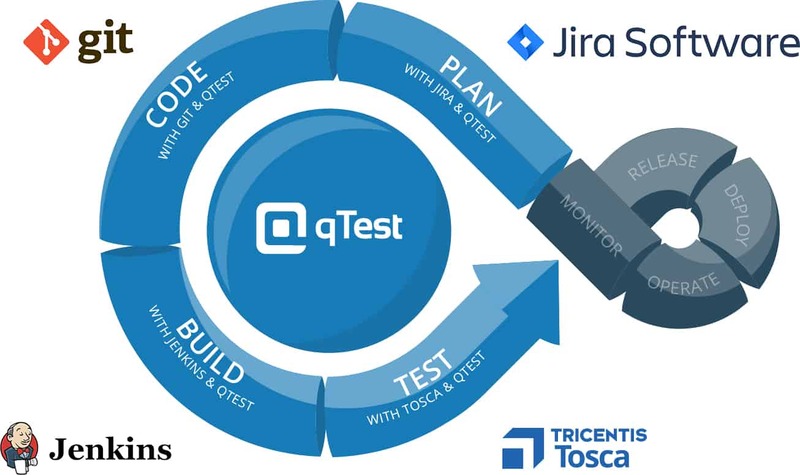 Tricentis Tosca’s model-based test automation directly integrates to qTest Manager for test run scheduling, and test run coverage linked with popular enterprise agile planning tools. Utilize qTest’s best-in-class integration with leading enterprise agile planning tools to link Tricentis Tosca test runs with sprint planning. Tricentis Tosca’s unique approach to model-based test automation allows anyone to be a test automation engineer. 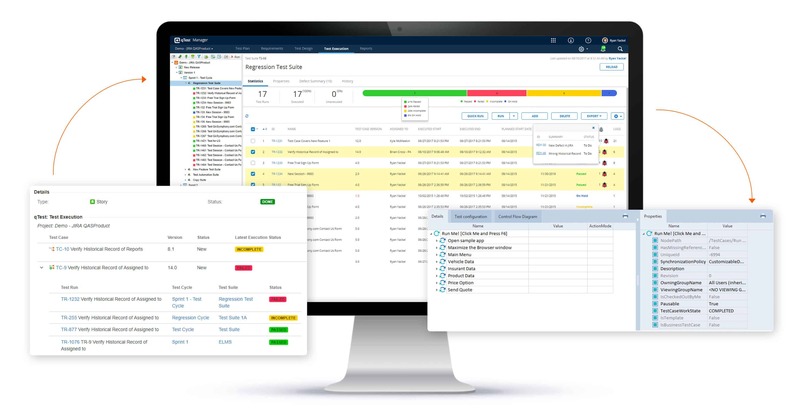 Tricentis Tosca is the clear leader for building and maintaining resilient regression testing for complex business process application like SAP. 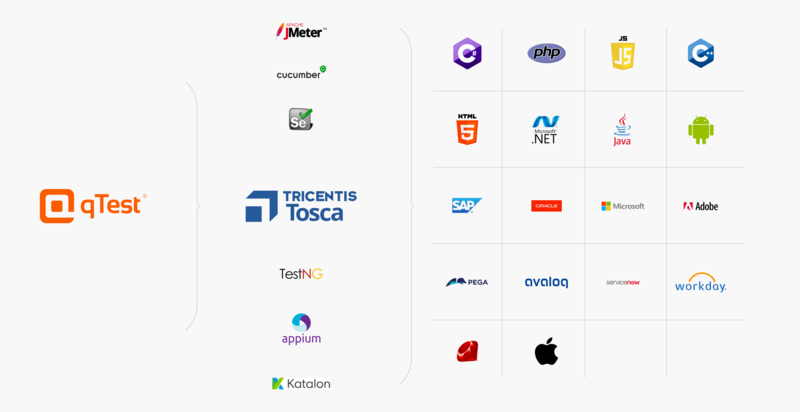 qTest’s turnkey integration with Tricentis Tosca makes it easy for agile teams to identify, organize, and schedule their Tosca test runs alongside their open source automation scripts. Team testing in CI/CD environments can leverage Tricentis qTest’s Jenkins plugin to run and collect Tosca test results. This allows teams to consistently collect and analyse test results from Tosca executions from a single view. 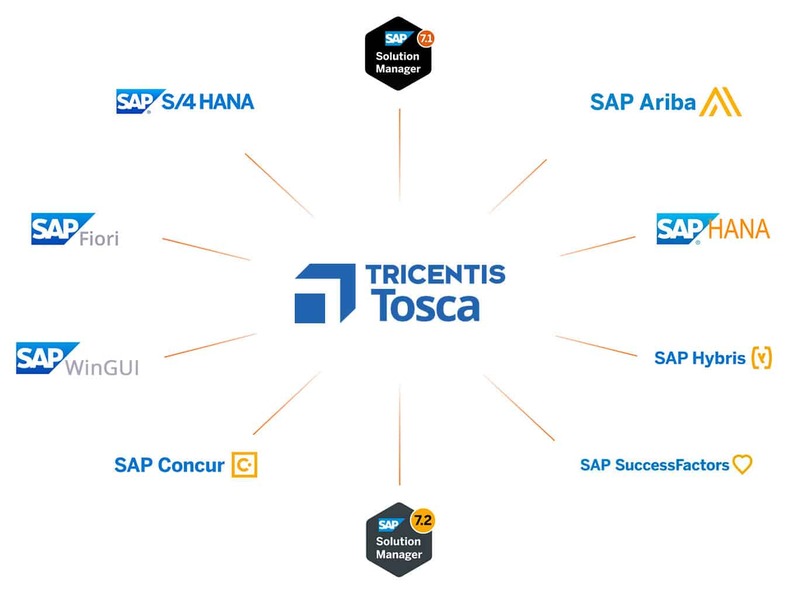 Tricentis Tosca’s model-based test automation provides rapid test creation, management and execution on all SAP applications. See the various ways to integrate Tricentis Tosca with qTest test management. Schedule Tricentis Tosca test runs for execution using qTest Launch. Learn how to set up the Universal Agent for test runs scheduling from qTest Manager. Connect Tricentis Tosca test results with qTest using the Jenkins plugin.